I have been fortunate to work with Brandi Goldapp and her team for the last couple of years on a variety of projects including their latest responsive website AViewVenues.com. These ladies bring their talent and creativity to the table and together we’ve developed catalogs, websites, invitations, business cards and so much more! Included here are a few examples of the projects we have worked on together. A View Wedding Brochure With Inserts For Multiple Venues. “Marketing is more than just the creation of website and advertising material. In the Event Industry our world is crazy creative and always changing. We bring Dom ideas that we can visualize and need him to make them reality either in print or online. He not only takes the time to research what we are talking about but will come back to us with suggestions with “an outside” perspective. There are times our project requires a skeleton and we need to fill it in and have several meetings with him before it becomes a final piece of art! His company has proven to have either the know-how or the patience to learn what I need to make my web site or advertising work. Dom’s careful thought and consideration shines in every project he creates for us. He is willing to collaborate via many different avenues such as email, phone, and in-person sessions, which is highly important to us considering the nature of our business. 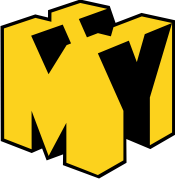 With all of that amazing work that Modern Yellow does for us, I think the most impressive thing is the time frame they are able to complete our projects! Usually he is waiting for us to get him things he needs, NOT us waiting on him to finish thing for us! Dom has and will continue to create beautiful and authentic material we are proud to offer our potential couples and clients every day!” THANKS Modern Yellow!! !